Retirement is one of the most important stages of your life for which you work and should save for. With the break-up of the joint family system in India, increase in longevity (life expectancy) due to advanced medical innovations, shorter work-span and lower job security; ‘Retirement Planning’ assumes greater importance. If you are creating an Investment Plan, your top most priority should be to save and invest for your retirement. Do not think that it’s too early to start planning for retirement. It is very important that you start early for your retirement. In this post, let us understand – How to calculate the retirement corpus? How to do Retirement Planning? How much do you need to save for your retirement goal? How to calculate the required retirement fund in 3 simple steps using MS Excel? First, let’s understand the stages of Retirement planning. Let’s now calculate the retirement corpus and the required amount of savings to achieve your retirement goal. You can do this in 3 simple steps as below. I have also provided a “Basic Retirement Planning Calculator.” Do try that. Example : Mr Rahul G (35 years) wants to plan for his retirement. His current annual living expenses are around Rs 3.6 Lakh. He wants to retire at 60 years and expects his life expectancy to be 80 years. He would like to know the projected / required retirement corpus and what is the required savings to meet his retirement goal amount?? So, Rahul has 25 working years (65-35 years) and would like to enjoy 20 years (80-60 years) of retirement life. We are all aware that the living expenses may not remain the same. They keep increasing. So, we need to first project the expenses by assuming a certain rate of Inflation (let’s assume it as 7%). The current expenses of Rs 3.6 Lakh p.a. will be projected to be at Rs 19.53 Lakhs, in the first year of Rahul’s retirement (at 60 years of age). He needs Rs 19.63 Lakh to continue with the same spending pattern in the first year of his retirement. Rahul expects to earn 8% from his investments after the retirement. So, we now need to calculate the required retirement corpus. At 8% ROI and 7% inflation rate, the real rate of return (inflation adjusted) is 0.9346% (Real rate of return is generally used in ‘withdrawal phase’ of the investments). In this step, let us calculate the required savings amount to achieve the retirement goal amount (Rs 2.66 cr). Rahul wants to invest in safe fixed income securities only, and expects 9% rate of interest from his investments. To accumulate Rs 2.66 cr in 25 years (work-span), at 9% ROI, Rahul has to save and invest Rs 3.14 Lakh per year (or) Rs 23,743 per month. You may try these calculations using the below Retirement corpus calculator. Download Simple & Basic Retirement Goal Planning Calculator. 77 YEAR OLD “FACEBOOK STAR” P.V. SAAR – YouTube Video. So, to become wealthy and to stay wealthy, it is very important to MANAGE your money properly. You can get a HOME LOAN to buy a property. You can get a PERSONAL LOAN to meet your short-term financial goals. You can get an EDUCATION LOAN to fund your higher education (or) to fund your Kid’s higher Education. But, you don’t get a loan to fund your RETIREMENT (hmmm..by any chance, are you now thinking about Reverse Mortgage?). Make your retirement years more comfortable and secure. Plan your retirement now! Remember, retirement planning is not a one-time event, but a continuous process of making sure you are staying in line with the goal you set for yourself. Do share your views and comments. Cheers! Is NPS a good investment choice? According to calculator, my retirement corpus will not sustain if my spouse is younger to me. I do not understand why spouse age is not considered in the calculations. Retirement corpus should be for both to survive, not the single person. Kindly note that one can consider living expenses of his/her entire family and can project the required retirement corpus. What is your views on tata retirement savings fund? Do you have any article on it? It is a decent fund with two options – Moderate (Balanced) and Progressive options. Unlike regular Equity funds, retirement oriented funds have certain certain & conditions for investments and redemptions. So, personally I prefer to invest in general equity funds. I want your advice related to Pention. My age is 48 yrs. Kindly guide me. I am from Pune. Or suggest me a person, who can guide me. My Mobile Number is +9199220119**. I am badly need of your genuine advice. Please guide me. Waiting for your SMS. My email address is rajeshdalvi**@gmail.com. Thanks for throwing light and emphasizing the need for retirement planning. I am 31 now and have decided to choose mid-cap funds to accumulate my retirement income. I arrived at this option since my investment horizon is 15+ years. Could you please suggest which fund-house to choose? Also, due to recent changes in LTCG taxation, are the mid-cap funds still the best bet for long term investment horizon? I am slightly worried about amount I will be losing as part of taxation. Kindly do not invest in a product based on just tax implications alone. They may not remain the same..
As always, very good write-up on the retirement planning. I really get motivated with your blog. Really appreciate your effort. I’ve used “Retirement-Planning-calculator.xls” to estimate my per month saving for retirement planning. Ex: As per my inputs into the XLS, I’ve got the recommendation as 54K / per month with 9% yield, 44K /per month with 10% yield and 28.5K /per month with 12% yield. My question is how to input the EPF contribution of 15K/per month with 8% yield and get the final recommendations? Thanks once again for your efforts to make everyone financially literate. Suggest you to kindly visit this link to find comprehensive Retirement calculators.. I chanced upon your website, when I was googling for financial advice. You have been doing yeoman service to people. May god bless you. I am 49. Typical middle class family. Currently based out of Mumbai. Live in our own house.Not much in terms of liquid assets beyond PF, LIC policies etc. However, no other obligations. Fed up with city life and wish to relocate to our village. My wife and I configured that we can have a comfortable life if we had a monthly income of Rs.25000/- . So, we decided to start putting monies into debt funds with a target that we put in Rs. 25 Lakhs in the next 3 years. 1. Are debt funds the optimal solutions? 2. Should I go with aggressive monthly income plans now and move to debt funds just before shifting? 3. Can you please suggest alternatives if I am all wrong? 4. Can you also recommend schemes which we should consider. Kindly do account for INFLATION when you are calculating the projected monthly expenses. 1- Yes, reason : short investment horizon. If you would like to take a bit of risk, you may allocate a portion of your investible surplus to an MIP Fund. 2 & 3 – You may have a mix of Debt Funds + Arbitrage fund + MIP. To accumulate Rs 25 Lakh in 3 years from now at expected rate of return of 9%, you have to invest around Rs 60k per month. Good funds. You may kindly continue with your investment plan. What is the Scheme name of ICICI? Is it not possible for a retired person to invest in Equity based balanced fund and starting SWP after 1 year at a reasonable rate say 8% p.a. so that his income would be tax free and and fund corpus also grows steadily? It all depends on ones investment objective, profile & time-frame. I am 48 years old and planning for retirement. running a consultancy of my own. Can accumulate for next few years say upto 59 years. expecting monthly return of Rs.40k ASSURED afterwards. can you please suggest me the right plan. Do you have any existing corpus/investment or other sources of income? Or, Do you need to start the retirement planning from scratch now onwards? To get Rs 40k per month income, during projected retirement life between 59 to 80 years, at expected return of 9% and inflation of 8%, you need to have retirement corpus of around rs 90 Lakh. So, you have 11 years from now to accumulate this corpus. I am 33 years old and planning for retirement. For retirement i am looking into sbi smart elite, ICICI elite, sbi smart wealth builder. or any other with better returns. This also has the insurance benefit. My idea of this type of investment is to pay for 5 years and leave it for 15 years. Is it good to go or any hidden risk, please Let me know your comments. If yes, do you have adequate life insurance cover? I have no financial obligations. i have a kid age 1.10 years and 1.5 Lacs per year into SSY, also planning for adequate life cover for family. To get life cover – Term insurance plan is a better option. For wealth accumulation purposes – You may ignore life insurance plans and consider other investment options. I will definitly look into your suggestion. Thanks for the replay. Still i have this question in my mind. As per my financial adviser he said that i get an average of 15 % returns if i invest in this so called elite or smart wealth builder. they also say that you get better returns than MF. Is it true? does it has any drawbacks which they hide to revel to me? It is based on assumptions & illustrations. If possible, kindly ask your advisor or agent to give you in written about the above statement. Both MFs & ULIPs are subject to market risks. However, cost-wise, transparency, liquidity, choice wise etc MFs can outscore ULIPs or insurance based products (if your objective is to accumulate wealth over longer period). Great post on retirement planning Shreekanth. I am 36 years old working professional. And as my retirement planning I want to choose a small/mid cap mutual fund. I am planning to put about 1 lakh as lumpsum in the fund and do not want to touch it for another 25 years. I think with the 15% per annum return this can build a good money for me and my wife for our retirement. I have also invested about 3 lakhs in ppf and want to accumulate hat amount for retirement. Please let me know if this will be a good strategy for me or not. Investing in a small cap fund for a 25 year horizon, makes sense. But kindly do track the fund’s performance once in a year and take corrective steps, if required. Kindly use the calculator available in the above article for the calculation of your projected retirement corpus. How to select the best mutual fund scheme? I am 48 now and accumulated an overall corpus ( MF , ppf, EPF) of Rs. 75 lacs. I am planning to retire early in next 6 months.Is this fund adequate to meet my current monthly expenses of Rs. 30000/-. I have term cover of Rs 75 lacs and Family health insurance of Rs. 5 lacs. Total value of my MF exposure is Rs. 50 lacs ( large cap ,multicap and blanced funds and liquid funds). Kindly suggest if i need to rebalance the porfolio towards conservative one.Also should i discontinue term insuarnce policy. If you do not have any financial obligations / liabilities you may discontinue the life insurance policy. In case if you believe that health cover can be enhanced, you may consider a Super Top up plan. Read: Best Super top up health insurance plans. Assuming life expectancy of 80 years, expected returns for the next 32 years as 9% and inflation rate @ 8%, you can get around Rs 2.7 Lakh per annum by investing Rs 75 Lakh. If you have to receive more than Rs 2.7 Lakh then either returns should be more or corpus. Thanks shreekanth. Here my debt fund investment is already around 40 % of total corpus of 75 lacs.Is it practically safe to continue with balanced funds for remaining 60% of total amount. Mutual funds are subject to risks. The returns are not guaranteed. So, if you are dependent on this income and would like to receive fixed/regular income then you may have to invest a major portion of your corpus in debt products. Great article! I agree that your top most priority should be to save and invest for your retirement. Do not think that it’s too early to start planning for retirement. It is very important that you start early for your retirement. I went through your blog and it well written, appreciate for that. I understood lot of things out of it. Also I went through your “Child Education” and “Retirement” calculator related blogs. Currently I don’t have any term plan or for my family member nor they have any LICs. So it will be good if you can suggest your opinion, what you feel looking at my investment/goals and considering all retirement/child’s education and marriage and health related expenses. Also correct me if I am lacking doing wrong investment in any entity. Please let me know which are good fund from Sep 2016 onwards. 1 – You may kindly provide details of LIC policies (Plan name , commencement date & tenure). 2 – MFs : Do you need this money within 5 years? 3 – Suggest you to kindly buy a Term insurance plan if you are under-insured. Also, a Personal Accident insurance cover. 4 – Do you/family have health insurance cover? Kindly go through this article : List of articles on key aspects of Personal Financial Planning! Can you please advise on good options to make lump sum investments (a few lakhs) currently so as to plan for retirement in about 10 to 15 years? I’ve started with PPF recently upon reading your blog and wanted to catch up with some lump sum investments (move from FD) in order to create a good retirement corpus for future (about 5 crore, from the calculator). Thanks Sreekanth, I went through this article and looking for your guidance in making lump sum investments in mutual funds – any particular scheme that you would recommend and timeline to invest in them? As you have a long investment horizon, you may consider investing in Balanced fund + Large Cap equity fund + Diversified equity fund. You can also consider setting up STP (Systematic Transfer plan) from a Liquid fund to Equity fund for say next 12 months, in-case if you are not comfortable making lump sum investments in Equity funds. Kindly note that STPs can not be set up across AMCs. Also, when Units are redeemed from debt fund, these are considered as normal redemptions hence subject to taxes. I have taken care other aspects (insurance/medical cover) and do not want to take too much risk due to frequent volatility. But I understood that 10 years horizon is perfect and equity investment return of around 12-13% can be expected. If one is expecting returns of around 12% then we have to factor in the RISKS as well, to achieve that kind of returns. Kindly note that MIPs’ returns are primarily dependent on ‘interest rate cycle’. You may consider to increase the allocation to Balanced fund a bit more, atleast for next 3 to 5 years (if possible), if you are not dependent on this investment (source of income). All 10 years horizon. your advice to achieve above 10% return is requested. Both are good funds (balanced). Read: How to select the right mutual fund scheme based on risk ratios? Birla SL MIP II wealth 25- can be considered. I have a lump sum investment in UTI equity DP Growth for last 3 years. After going through your columns, it seems that UTI mid cap- Growth is better option for longer term ( 10 years). Need your advice whether I should switch to this or remain in my existing fund. UTI equity is a multi-cap oriented fund. So ideally we should not compare the two funds. Kindly note that the fund manager who manages both these funds have been changed. So, if you would like to make fresh investments in a mid-cap fund you may consider HDFC Mid-cap fund. No Sreekanth, I have no plan for fresh investment. Need your advice whether I should remain invested in UTI equity? or switch out to a better performing fund? Dear mandar ..As of now, you can stay invested in uti equity fund. I am looking for a corpus of 10 Cr for my retirement. I am 32 year old and can invest monthly 7000 – 8000. Can you suggest some good portfolio of equity/mutual funds through which I can achieve my targets. My father is going to retire this October 2016, and he is in central govt. and willbe getting around 3o lakhs of retirement money in pension and all. Can you please help in letting me know what will be the best way to invest this money. And other health/money back plans post suited post retirement ? He may kindly ignore buying any life insurance plans, especially traditional plans like Endowment or moneyback. Read: Are traditional life insurance plans a terrible investment option? Is he going to depend only on this corpus to lead his retirement life? Can he afford to take risk? Whether he has adequate health insurance cover? May I know what about your mother? Is she dependent on the income generated by this corpus? Are there any other sources of income (pension, rental income, FD interest etc.,)? Any financial liabilities/commitments? I am only the starting stage of financial planning. Firstly i fixed term policy for Insurance. Next I am planning for Retirement. I am thinking to plan for retirement along with tax savings. So i am planning for 2 options combined. ELSS and PPF. My vote would be for PPF + ELSS combination. NPS (with current rules) is not a great product as such. MFs can be a better choice. Read: List of best investment options. Do you have sufficient life insurance cover? What about health cover for self & family? Kindly read this article : List of articles on the Key aspects of Personal Financial Planning? Your high priority goals are retirement and kid’s education. In case if you are unable to save sufficient money for these goals, you may kindly post pone buying a home. The six most common personal finance mistakes.. Yes i do have Life insurance cover of rs 40,00,000/- from SBI insurance and rs 200000/- from SBI health insurance cover. 1- Suggest you to buy a stand-alone Personal Accident cover. Read: Why one should have a PA cover? 2- You can start investing in a Diversified equity fund + Balanced fund for Kid’s education goals. Best balanced funds.3 – You may consider investing in Equity diversified fund + Mid-cap fund. In case if you would like to save taxes also, then you may consider ELSS fund for your retirement goal instead of Diversified equity fund. I have been working aboard for quite a while and 45 yrs old now. The only assets I have is my own house due which I have some credits to clear. I have a son who just entered his college and daughter who is in 9th. To be frank there is no much savings as such. Planning to pick up some land to do organic farming for retirement. Could you help me out as to what wise investment plans should I do to have a safe comfortable retirement with no financial crisis. As its already too late in saving for myself and secure families future. Where do I stand. Mutual funds in each of my kids name like the demat account would it help. You are in a tricky situation! If you have not accumulated savings for important goals then either you have to invest more to accumulate goal corpuses in safe investment avenues or you may have to consider investing in risky investment avenues to achieve your goal target amounts. So, you may not have to decide which one you would like to opt for?? If you do not have adequate life insurance cover, suggest you to buy a Term plan cover at the earliest. Get yourself adequately covered with Personal insurance cover. Do buy a health plan which covers all your family members. List of articles on the Key components of Personal Financial Planning. By chance I had visited your blog. Excellent and thoughtful advises. I wish I had to take your suggestions and opinions earlier. Better late than never. The current situation at my work place is not very promising. if i’m planning to retire by 50 yrs ( in 5 yrs time) what are the necessary steps I have to take . Am I in the right direction of financial planning. if there are any steps to be taken please guide. 1 – You can consider buying a Personal Accident Cover with permanent & temporary disability benefits. Read: Best Personal Accident Insurance plans. 2 – Do you have any loans which are outstanding? 3 – Your elder son will go for higher education in next 1 to 2 years, have you planned for his educational expenses? Have you ear-marked any investments for this? (High priority short term goal). You may use LIC maturity benefits for this purpose. 4 – How old is your PPF a/c? 5 – Kindly use the calculator available in the above article to arrive at approximate retirment corpus (based on early retirement) & approx required savings amount.
. Use the calculator available in this article to estimate the approx amount required for younger son’s education goal. 7 – Kindly write a WILL. It is an important action item..
You may revert to me with more queries..
sorry to get back to you so late as it took some time to track back my post. Thanks very much for your suggestions and advise. anything to the company. i’m still working on it, what would be your advise. 2.yes I have a 10lakh loan ongoing , another 15 lakh which is almost ending. 3.for my elder son’s eductation I have to redeem the mutual fund. 5.for my younger son’s education again I will use the remptions and their policies. 6.i’m almost done with the will , but since my kids are minors thinking of the right executors. could you please advise me on the above. 1.can a person write any number of will? 2.should he/she declare all the assests ? 3.what happens if the executors are out of country , how does it work? 4.witnesses need to know all the asset details? 5. who should know that there is a will? 6.who should have the copy of the will? 1 – Yes. (but the latest WILL is considered at the time of execution). 2 – Optional (but advisable). 3 – That should be ok I guess as long as they are ready to execute the WILL. So, the testator has to plan for this accordingly. 4 – Generally the WILL has to be signed before witnesses, so they may know the WILL details. 5 – The beneficiaries, executor & witnesses. 6 – may be executor. How to write WILL online..
1 – You may kindly try to buy from the insurance company directly. Assumptions : Investment of Rs 1cr for next 20 years at the rate of 9% & at inflation rate of 8% can provide you around Rs 45k per month income. * Senior Citizen Savings Scheme. * Post office Monthly Income Plan (Maximum investment Rs 4.5 Lakh in single a/c). * Mutual Fund MIP – Dividend Option. * A small portion of your fund corpus in MF MIP – Growth option + Balanced fund – Growth option for say next 5 years. i am 40 years of age. presently working in Malaysia. i adequate amount of medical and gnrl insurance and also child education funds. having wife( house keeping) and one child of 4 years old. but my employer is providing any pf and pension. age retirement is 60. so want to saving the of 19 years of my service and i want a monthly or qtly income after mty retirement. iam having house ( free from loan ) which around 7000 permonth rentally income. after 60 1 want to seettle in india. so suggest me suitable plan FOR monthly income after retirement. at present i can save 10000 per month . Do you have adequate life insurance cover? Suggest you to use the calculator to estimate the required amount savings to accumulate your required retirement corpus (if not used it). You may consider investing in Equity oriented Funds for next say 10 to 15 years. thank you reply i having enough insurance coverage.as suggested by invest equity oriented scheme like hdfc balanced und icici baned fund and tata balaced fund for 15years. . after 15 years how do invest for monthly income plan ? plase advice . You can start investing in Equity funds to accumulate wealth and you can redeem these funds and invest in appropriate investment avenues (suitable to you at the time of retirement) to get monthly / periodic income. I want to invest 3000/mnth for 18yrs/now I am 32 yrs old..I would like to buy a investment plan/pension plan.. Suggest me…a plan or which shares or mutual funds to buy… ?? Do you have sufficient life & health insurance coverage? Suggest you to invest in 2 to 3 good equity mutual funds instead of a pension plan. Hi, I am 39 years and very poor in financial planning. I have 3 lic policies which will yield 5 – 7 lakhs on maturity. 3 mutual funds, very minimal returns, no health policies, no term policies, only saving grace is PF which has accumulated to aaround 13 lakhs. Have a 50 lakhs home loan taken 2 years back and probably 5 lakhs in bank. As mentioned am very poor in financial planning and need to do something from this year so that the future is secured for my family. Any guidance where I need to start? Kindly read this article : Financial planing pyramid and revert to me. Please let me know if any of the following which I am looking to invest in are good for retirement goal. I do have Emergency fund, Term Insurance Cover , Personal Accident Cover etc., and my wife is taking care of our Child’s education goals. The above options are solely for Retirement investments which I am planning to in 15-20 years from now basing on how much I accumulate. Will invest with 10% increase in value of investment. Considering your profile & investment objectives, suggest you to invest aggressively in Diversified fund + Small&mid-cap funds for next 7 to 10 years. Invest as much as possible and as frequently as possible. Franklin Primaplus/ICICI Valuediscovery. Mirae opp / Franklin Smaller cos fund. Read : Best equity mutual funds 2016. I am always being inspired by your articles and response. This is a long term investment. My portfolio is as follows..please review and provide your inputs. I would like to invest lumpsum in Mutual Funds and Stocks. I am not going for SIP since i am currently jobless. I already have Emergency Funds & Debt Funds such as SB, FD, PPF, NPS. Expect returns / maturity value : Rs.1 Cr. Keeping all MFs for long time horizon (for retirement), I have invested in 2/3 funds for each category to get better returns and buffer losses(even if 1 fund doesnt perform well in a particular year, the other might). 1. Which funds can i invest the lumpsum amount, heavily, to get the desired retirement corpus ? Any of the funds above (or) any new fund like Index Fund / ETF ? 2. Which stocks would you recommend buying – i am looking for Regularly yielding high dividend stocks for last few years. The Dividends arising from the stock – after my expenses, i will invest the surplus in MF. 3. The funds that i have already invested — am i on the right track? If i have to prune down, what are the stocks i can close, in say, one/two year’s time ? How much should i save from now on and in what should i invest? Dear Ravi..Let me know your financial goals. Are you married? Do you have dependents? I am 35 and just marriad and working in private sector. 1) I have Medical insurence from New India for both of us with Rs 5 L. Later I will take super top up. I want to invest cominng yrs into MF. C) 15 yrs plan for retirements. I read your related links for retirements and child education. I am able to invest 15 thousand PM. Please help whether it ok or not for my current capacity. Do not postpone buying a Term plan. Also, go through this article – Best Personal Accidental plans. Shortlisted funds are good ones. For ‘Child education’ goal, you may add one Mid-cap fund, invest in it for next 8 years or so. should I invest in 2 Mid cap as mentioned below or invest in one Midcap as 8000? You can invest in both the funds. I like your articles. I am 32 yrs old s/w professional and looking forward to retire when I turn 58 with the retirement kitty of 2.2. cr . Recently I came across NSC (version IX, 10 yrs locking) illustration where one need to invest 1 lac/annum for 10 yrs and then keep on reinvesting matured amount till the retirement and you are done. But when I found that interest is taxable, returns looks unattractive. Is there any point in going ahead with NSC? Bought HDFC life regular pension plus policy last month with 6000/month for 24 yrs which gives me 14 lacs sum assured. Every year it will add some reversionary bonus and terminal bonus on last year of the policy. Data shows rev bonus is declared last year is 2.5% of SA and terminal bonus 10% of SA. Now I am bit skeptical about this policy after paying just 2 installments. Is it worth going ahead with this policy ? How much should one expose in PPF ? I’ve started investing in PPF since last 3 yrs and have 3 lacs there by now. At max I can hold PPF account 17 more yrs. What should be done after that as I have 9 more yrs to retire after PPF maturity. I come in 30% tax bracket and my 80C bucket of 1.5 lacs is already full with PF, home loan principal, PPF, term insurance etc. Currently I invest in SIP around 32000 per month with 50% mid/small cap and 50% large cap. For long-term wealth accumulation, Fixed income (FD/RD/NSC etc) should be avoided. Suggest you to discontinue the HDFC Policy. Do not compound your mistake by continuing with it. Kindly read my article on – How to get rid off bad insurance?. PPF can be part of your Debt portfolio towards your Retirement goal. Thanks Sreekanth for the quick reply and for the advice. I do investments in stock market and MF since last 7-8 years. Through SIP in MF since last 3- 4 yrs I built around 9.4 lacs so far from the actual investment of 7 lacs, which is not really of 12-15% annual return of usual MF claims I hear though I invested in mixture of all funds right from balanced/small-mid cap/large cap. After experiencing many gains and losses in stock market, now I am more keen in investing in small/mid caps for long term. Is it risky? How should be my portfolio for building retirement corpus. How much need to be invested monthly ? I have 2.5 yrs old daughter. How should be the split in MF, PPF and sukanya samruddhi ? Kindly list out the mutual fund scheme names. For long-term wealth accumulation – Small/Midcap or Equity diversified (multicap) can be the best bets. kindly use the calculator in the article and calculate the approx amount of savings per month. Also, read this article – Kid’s education goal. Below are my MF SIPs. Is Sukanya Samruddhi worth of being part of the investments ? Yes, I have Company family floater health cover of 2.5 lacs, and also got a super topup upto 10 lacs for this year. I also have also got term insurance from Max India of (70 lacs + 28000 for 120 months) as a death benefit. For long-term horizon, suggest you to opt for ‘Growth’ option instead of ‘Dividend’ option. Kindly read my review on Sukanya Scheme. TDS is not applicable on MF redemption. You need to file capital gains/losses (if any) in your Income Tax Returns. If I am not tax payer nor filing income return. in that case what is income tax implications. Dear Manoj, if you are not a tax assessee, then what exactly do you want to know regarding tax implications? Pls advice how much I will get after 5 yrs from each funds. The selected funds are good ones. It is not possible to say the maturity amount. But you can expect decent returns over and above the bank fixed deposit rates. Kindly remain invested for long-term. I am following your blog regularly. I need clarifications whether to stay with this LIC plan or with draw from this plan. I have a LIC Plan 148 Retire& Enjoy Plan. I have copied the below from the plan. I have paid EMIs (16,123/-) for 10 months, and due to some financial crunches i was not able to pay the EMIs. My financial condition is better now and I am in a position to pay the EMIs. I need your views on whether to continue with this Plan or invest the same in the SIPs. I have a term insurance of 55L, Since I have taken this LIC policy i did not take other Term Plan. Just ignore this plan and switch to mutual funds. Is it 0.00% rate of increase of income? The present value of Rs 8,37,751 pa is equal to Rs 1,79,737 pa in today’s value @ 8% rate of inflation. Kindly analyze if this is sufficient for you? Thanks Sreekanth for the reply. I need few more clarifications. I am 35yrs now and would like to retire at 60 (as usual as others, noting new 🙂 ) . I would like to invest on low risk MFs. Please suggest which one is better for low risk . Mid cap / small cap / Large cap MFs. I need money for retirement/kids education/marriage. I am planning for long term (15 ~20 ) years. Why do you want to invest in low risk Mutual funds only? Article is really simple and powerful. Thanks for great information. My age is 32 and same as every people would like to retire at 60 and lead a normal life. I’m working in abroad now and Till this month i’ve been paying my fathers debt, hope it will be completed this year. Until i read your post i’d interest to start investing for retirement life but no clear picture as you’ve shown in phases. Also without any idea at the age 29, started the life insurances and paid premium on LIC & BSLI Vision as mentioned below. In LIC, (Jeevan anand 149) for 25 years half yearly mode (20, 939) for the sum 10,00,000.00. In BSLI Vision for 21 years half yearly mode (20, 932) for the sum assured 400,000.00. Just started to invest in stocks on my own knowledge & experience. Holding demat account in ICICI direct. I’m planning to start saving or invest in mutual fund through SIP and would like to have your great advice on the same. As far now expenses approximately including insurance (42, 000.00) will be 1 Lac. Basic queries only, which MF to select and how much amount per month & also for how many years need to be invested. Is it good to invest through ICICIdirect as i’m not sure whethere there is any difference if i’m going to change the broker. Should i’ve to reallocate those investment later. Also there are more options to invest or save (Stocks, bonds, FD) and Please suggest me also to invest on any of these options (how much amount and no of years). I would be very happy to know from you and eagerly looking forward for your reply. I will surely guide you. Lets start with Life insurance. 5% returns. Kindly read my article : How to get rid off unwanted life insurance policies?. Suggest you to take Term insurance plan and then discontinue these kind of plans. Read my article : Top 7 best online term insurance plans. Are you an NRI? Investing through ICICIDirect is safe and secure, but the brokerage charges are a bit on higher side. I too invest through them only. Yes i’ve only two insurance which i’d mentioned. I read your said article on getting rid of unwanted insurance policies and also term insurance plans, which i should have read few years ago, but its not too late now. Thanks for providing awareness on the same. When i read the documents required for online term insurance plans, You’ve mentioned that need to provide income tax returns of 3 years etc., but as i’ve not filed income tax in India since June 2011 as i left to work in abroad and on this scenario how to provide income proof. As i’m planning to come to India in 1 or 2 months, is it okay to take term insurance from India when i’m there or apply online from abroad now. Please advise me on the same. Yes I’m NRI, i’ve been working here for 1 year and will be working for another 6 months more. Would like to know more and i wish not to make you tired reading my post alone. So stopping it here for today with these queries. Thanks. If you are employed outside of India, you may submit your income proofs, Life insurance company may also ask for bank statements. You may take term pan when you are in India. But disclose that you are currently employed in foreign country in the proposal form. Thanks for the reply. Hope you’re well! Could you please share me your mail id for further to communicate . Thanks. Just to let you know that after i subcribe i got your email id. I’ll contact you on mail. Thanks. Somebody is asking me to invest 18 lakhs in MF’s for 5 yrs, Now he wants me to take this amount from bank at 10.15 % interest for 20 yrs, but he says that I can earn well after the interest component payment after 5 yrs. Is doing this module of taking loan of 18 lakhs and investing in MF advisable , kindly guide , need your advice ASAP. Kindly don’t do this. May I know who is this ‘somebody’?? thanks for the reply , the somebody is a vp in icici bank prudential system, he told me to take loan of 18 lakhs, and invest it in 5 yrs term in sip’s , and told me that I can earn good amount in 5 yrs. But meanwhile by god’s grace I got to know about your site , and asked you . So I guess It wont be suggestible to take loan and invest ? If you invest in MF SIPs for long term, you can accumulate wealth. But, not by taking loan and investing in mutual funds, that would be too risky. Suggest you to start with monthly MF SIPs without taking any loan. It can be as little as Rs 1k. 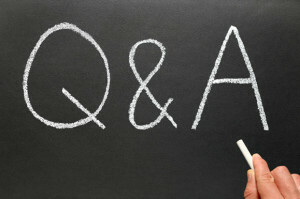 Thanks for your reply , You are more prompt in answering questions than I am to ask . Actually I didn’t knew how to find your answers, then I searched for retirement planning and got to know the way to reach you on your site .. I know now. I was actually a short term player always , but after reading your many articles I now agree on long term planning for accumulation of wealth. Now the question … are these funds good to continue ? or plz suggest some good money earning funds .. I had done it thru an ICICI bank friend who suggested me these , I don’t have any knowledge on investing , I just asked him where should I invest 16 k every month and he suggested this. My goal is to make a corpus of 2 cr in a period of 10 yrs starting from 2015 to 2025. Is it possible ? and how do I do it ? I can increase the 16k figure to 25 k from coming jan.
Plz Advice on the above …. Start investing as much as possible for long-term wealth accumulation. Increase the SIPs amount whenever you can do so. Regarding corpus calculation, read this article : Calculate Future value of your investments. So should I close the exports fund ? though it is giving high than any funds currently in my portfolio. And which fund house should I choose ? can you plz suggest ? and how to go forward. and how do I contact you personally ? If you understand the risks associated with a Sector/thematic fund like ICICI Exports fund, You may stay invested. Regarding best Equity funds, suggest you to read my article :Top 15 best Equity funds. Kindly go through it and consider selecting one fund from each fund category. Also read : Top balanced funds. Wonderful advice on various topics. Could you please give your comments the recently launched Sukanya Yojna also ? I have written around 5 articles on Sukanya Samriddhi Yojana. Click here to read the review. I check your Retirement Calculator and I adjusted some of your inputs, ret age 55 yr. I have invested SIP in UTI Opp G fund for Last 3 years Rs 1000/~ . Recently it is matured and amount is good. So gained exp in MF. My Home Loan EMI will be completed with in 4 months Hence I can HAVE 12 Thousand to invest in MF to reach the GOAL. Now How Can I invest or optimize my Investment 12 thousand ? So, you have around 21 years to go for your retirement. Suggest you to invest aggressively in Mutual funds for the next 10 years or so. Consider investing 40% of your planned amount in a Large cap, 40% in Midcap oriented Fund & 20% in a Balanced fund. Yes, you can also consider allocating some part of your PPF contribution to a balanced fund for next 10 years. I can not plan for invest 34 Thousand ( as per your calculator) in this moment. As per your guide line when I invest .. should I devide my money to ( 40% + 40% +20%) ? 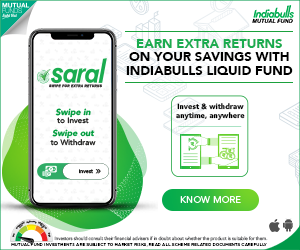 Can I invest (SIP) in any time irrespective of the Market ? I personally prefer investing in Balanced funds and I am satisfied with the Returns ( as per my goals).. If your goal year is > 10 years from now, suggest you to invest in same proportion in Large / balanced / mid-cap. Yes, anytime is good time to book SIPs. Go ahead! PL GIVE YOUR CONTACT NUMBER SO THAT I WILL CALL YOU.. Suggest you to re-look at your total life insurance coverage. Consider taking an additional life insurance coverage of around Rs 30 Lakhs. You may re-allocate some percentage of your PPF contributions to HDFC Children’s Gift fund, this can be for your kid’s education goal. When a person doing a job he may have some deduction as PF from employer. The PF amount can be in the range of 50 – 60 Lakh. Can this be factored in the above calculation. Yes, you can deduct the EPF fund value from the ‘Required Retirement Corpus’ (Cell no B20), and the ‘required savings per month/year’ values are auto-calculated. 1) Pls add tax components also on your calculator ? to know take home returns. Please recommend BEST investment options which will give NON-taxable returns. If someone respond to this blog, i should get email triggered to my personal email id (which you have collected here). its difficult to check your each blogs where i left comments . Last time i left few comments on your blog website on different blogs, but now i forgot. I need to search for the topics. I wanted to keep this post as simple as possible. The challenge with taxes is, they change every year. Also, the applicable taxes on various investment products keep changing. So, the best thing is to keep working on your retirement plan every year. Initially I had kept the option to follow the blog comments and also an email alert facility as soon as a reply (from my side) is posted. But these features were utilizing lot of database resources and there were some loading issues (technical challenges), so had to remove these options. I may go for server upgrade in future, I will surely try to implement your suggestions then. Thank you! I would like to get a monthly income of 50,000 per month after retirement (55 years). Therefore, which options I may choose to invest on monthly basis to ensure the above monthly income after my retirement? Please suggest what are the best investment options I could go for with the surplus amount after all expenses and existing investments to achieve my above goal of earning 50,000 INR per month after retirement. Kindly let me know on what basis have you arrived at Rs 50k? Are you sure it is a reasonable figure after 26 years? Kindly use the calculator that is available in the article. Let me know the projected value as per the calculation. Kindly try it out. (I will definitely guide you, trying to make you understand the concept). Kindly let me know the LIC Plan names..
Hope the above details would help you to guide me on the best investment options I could go for starting now with the surplus amount after all expenses and existing investments to achieve my above goal. Kindly subtract Rs 6.76 Lakh from Rs 2.21 crore. Enter the balance amount Rs 2.147 cr in cell B20, and you will get the required amount of savings per month/per year. Revert to me if you still need any assistance. 1 – are you sure it is Jeevan Jyoti? 2 – Suggest you to know and understand the policy features that you have invested in. Hi Rajesh, What is your current age? and What is your currently monthly expense?